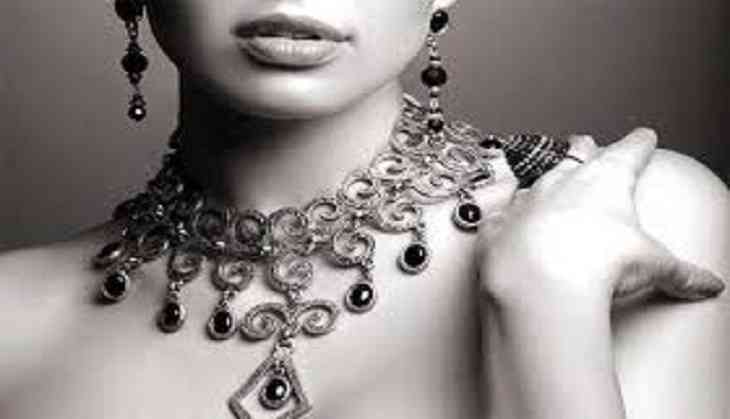 The rainy season is quick to take away the sheen from silver jewellery owing to the reaction it undergoes while in contact with humidity and air pollutants. Keep it away from liquid cleaners and store it in ziplock plastic bags, say experts. * Remove your jewellery before going to shower or even before washing your hands. Clearly avoid wearing jewellery before heading outdoors while it's raining. * Avoid liquid cleaners on your jewellery as they get stuck in the engravings and cause dullness. * Silver is vulnerable and it needs special attention when it comes to storage. You must reserve a different bag for your silver jewellery, preferably a ziplock plastic bag for your silver ornaments and stuff a thin layer of cotton on the walls of the bag. You can also consider a soft cotton or muslin cloth for the purpose. Not only the container should be moisture resistant but so should be the surroundings - unexposed to air and light. * Commercial silver cleaners do more harm than good to your jewellery. They ruin the anti-tarnish coating and valuable patina that your silver has and leaves it more vulnerable than before. Besides, they might give a temporary solution for the upkeep of your jewellery, but affect it in the long run as it will tarnish quickly and need more frequent care. * Take your jewellery to a professional silver cleaner or your jeweller to get it treated with the right equipment and treatments like the silver dip and more to maintain its lustre, brilliance and versatility. * There are some economical and environment friendly silver cleaners right in your kitchen. Soap and water: Consider a mild, ammonia and phosphate-free dishwashing soap with lukewarm water as your first preference to clean your ornament. Olive oil and lemon juice: Mix half a cup of lemon juice with one teaspoon olive oil in a bowl. Take a small microfibre cloth. Dip the cloth in the solution and squeeze out the solution well. Then polish, rinse and dry your silver. * When dressing, jewellery should always be worn in the end as cosmetics and perfumes can cause damage to the delicate items. * It is advisable to put activated charcoal and silicon pouch in the ziplock bag to prevent tarnishing.